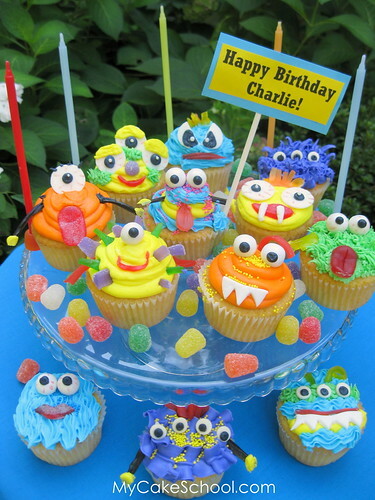 These cute monster cupcakes are by MyCakeSchool.com, where you can find out how to make your own. Via Flickr. oh my gosh these are too cute!! !